During the mid-1800s, before the Fall Mountain Paper Company took over Wildwood and before Easton was a township, Wildwood had operating sawmills. The Fall Mountain Paper Company would purchase a large tract of land in this area and at least four of these sawmills in the late 1880s-1890s. One of the sawmills purchased was Eastman Lumber Company’s water-powered sawmill, which employed twenty-five men. In March 1893, the New Hampshire Senate and House of Representatives approved an act that allowed the Fall Mountain Paper Company to make improvements to the Ammonoosuc River and its tributaries in the towns of Bath, Haverhill, Benton, Landaff, Easton, and Woodstock for river logging. The Fall Mountain Paper Company would become part of the International Paper Company in 1898. 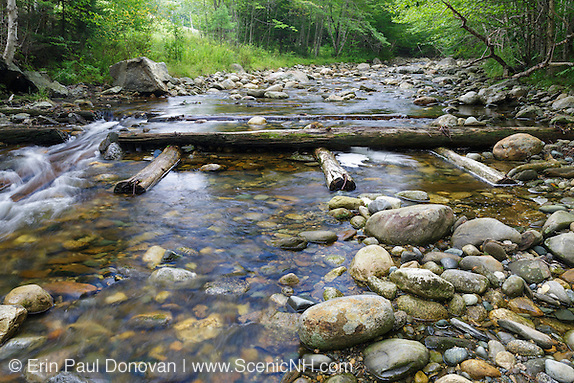 Dams were needed on the Wild Ammonoosuc River to control the flow of water during the log drives. There were at least three dams on the Wild Ammonoosuc in the Wildwood area – Upper Reserve Dam known as “Little Dam”, Upper Bunga Dam (above), Lower Bunga Dam; and there was a fourth dam downriver at the village of Whitcherville, the Whitcherville Dam. The log drives were done during the spring, and a large crew of men worked the log drives. 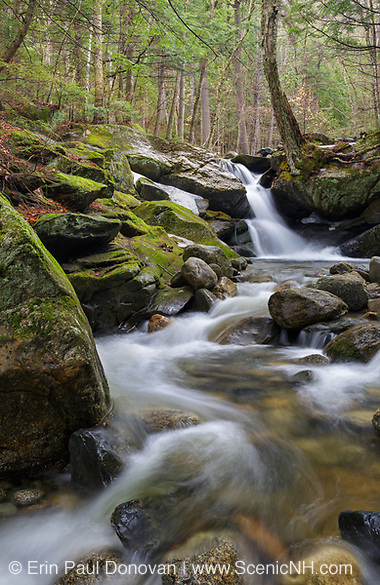 They began on the Wild Ammonoosuc River, and the logs were driven down to the Ammonoosuc River and then to the Connecticut River. The last log drive was in 1911. 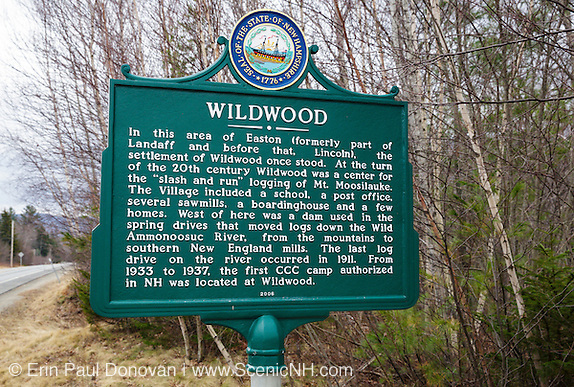 Wildwood was a typical logging village; it had a schoolhouse, post office, sawmills, and a handful of other dwellings. Today, little remains of Wildwood, but hidden along the edge of Route 112 old cellar holes can still be found. In the above photograph, the depression is an old cellar hole. River logging and railroad logging are similar in that both relied on the woodsmen to harvest the timber from the mountainsides. Logging camps were setup on the mountainsides to harvest timber from Mount Moosilauke, Mount Blue, and other mountains in the area. And teamsters would drag the logs down the mountains to the river. 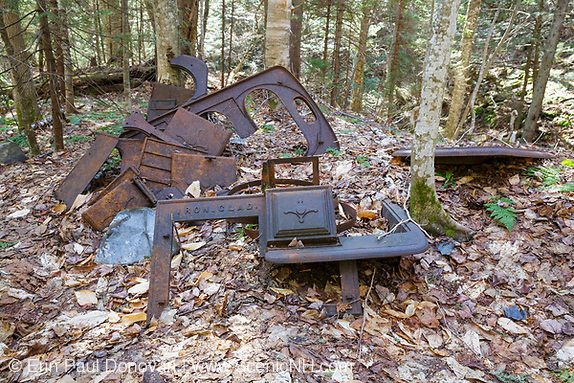 Artifacts (above) from International Paper Company’s logging camps can still be found in the forest. 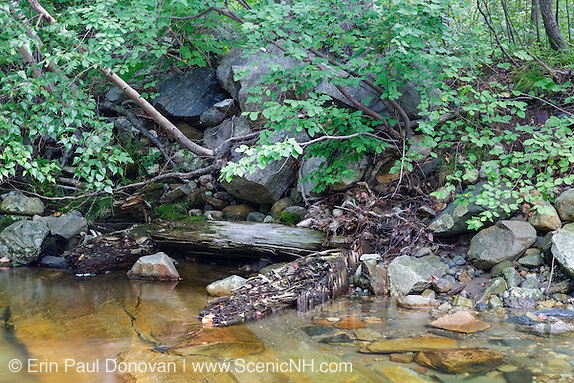 If you look closely at the above photo, you will see old cribbing in the Wild Ammonoosuc River. All the known dams in Wildwood are accounted for so what this cribbing was part of is unknown. It could be remnants of an old bridge or an unknown dam. And there is also the possibility that it has something to do with the building of Route 112, which is about 40 feet away. 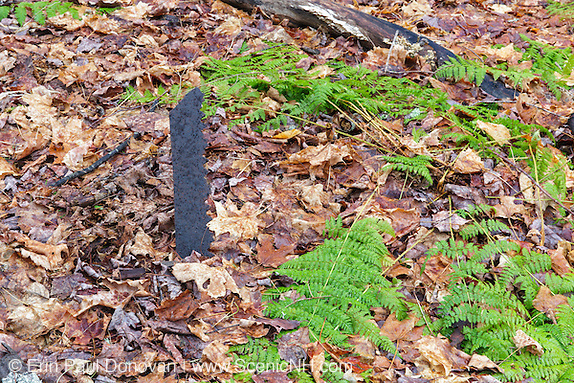 Wildwood is the site of the first authorized Civilian Conservation Corps (CCC) camp in New Hampshire. The Civilian Conservation Corps was a successful public work relief program that operated from 1933 to 1942 in the United States. 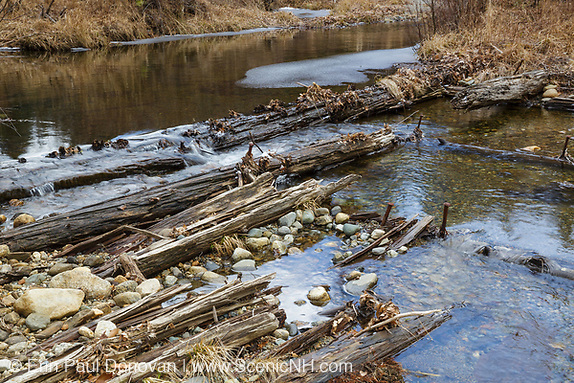 The CCCs built many of the bridges, roads, and trails in the White Mountains region. The Wildwood Camp was open from 1933-1937. 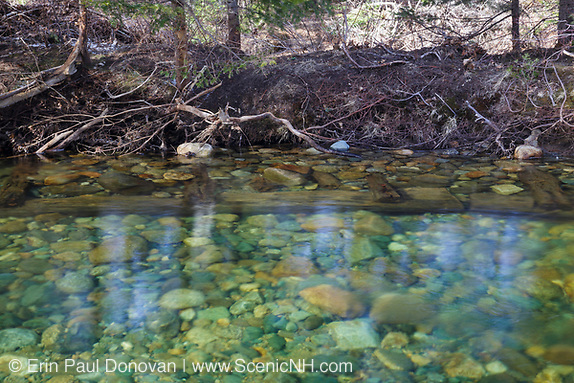 Today, the area surrounding Wildwood has recovered from the logging era, and the Wild Ammonoosuc River and its tributaries are incredibly peaceful. And the new craze is panning for gold on the Wild Ammonoosuc. 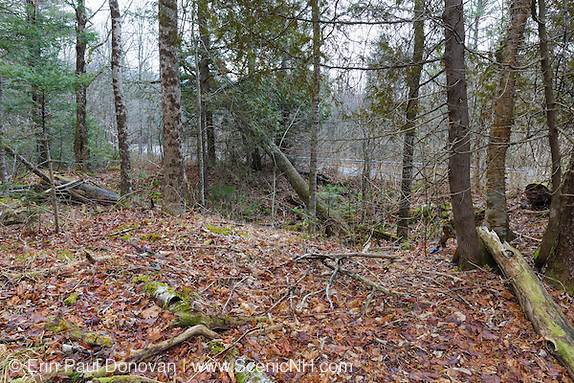 But with the exception of the schoolhouse, now a private residence, almost nothing remains of this logging village. A campground and picnic area bear the Wildwood name, and a few private homes now occupy the area, and in 2006 a state historical marker (first photograph) was placed at Wildwood. 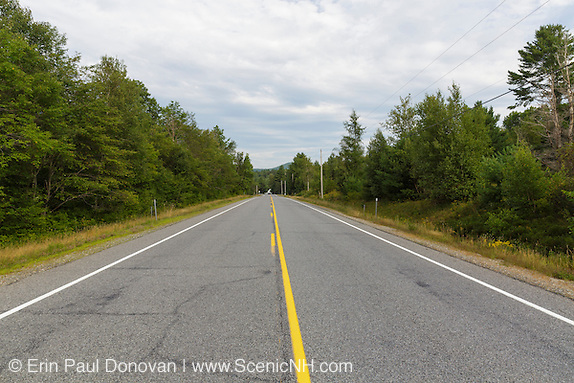 But as one drives this lonely stretch of Route 112 in Easton, there is little reason to pull over. And most drive through a piece of White Mountains history without evening knowing it. To license any of the above photographs of Wildwood, click on the photograph. And you can view more abandoned villages here. Erin, great post. Have you ever heard of the wildwood area refered to as “Danville”? It appears in the 1890 birds eye view map of the whites. Looking for more info on it if you ever happen to come across it. Wildwood is a great area, and I am glad you enjoyed my work. The Whitcherville settlement (just west of the Wildwood settlement on the Wild Ammonoosuc River), was first called Dansville. The spelling of it varies, and I have seen “Danville” on some of the older maps. Thanks Erin for all your research as well as the photos. I'm surprised to see the cribbing and remains of dams as it seems most of them elsewhere have been washed away over the years. Love the moss-covered shoe. How did that not deteriorate long ago? Wildwood is a great area! It is surprising that the cribbing for the dams are still in place and visible after all these years. You can actually see some of the cribbing from the Upper Bunga dam on Google earth. 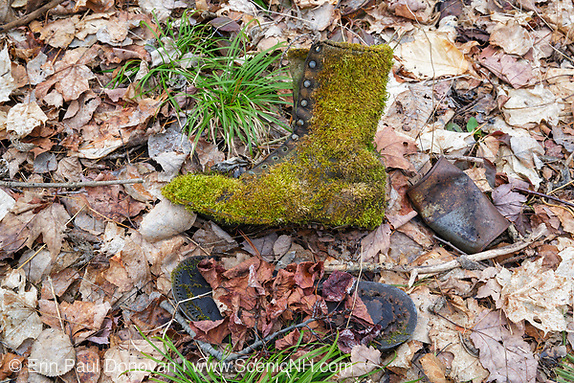 The CCC campsite (where the shoe is) looks to have also been a dumping ground for “trash” after the camp closed, so its very likely the shoe is not that old. Thanks so much I can't tell you how many times I've driven by this and never knew that there was an actual community there. Nice !! I am glad you enjoyed it Nicole! Back in the old days, Wildwood must have been an interesting area.